With the easy availability of fresh seafood and a large number of Japanese tourists, Bali offers plenty of choice for sushi. The Grand Piano is put to good use during daily live performances. 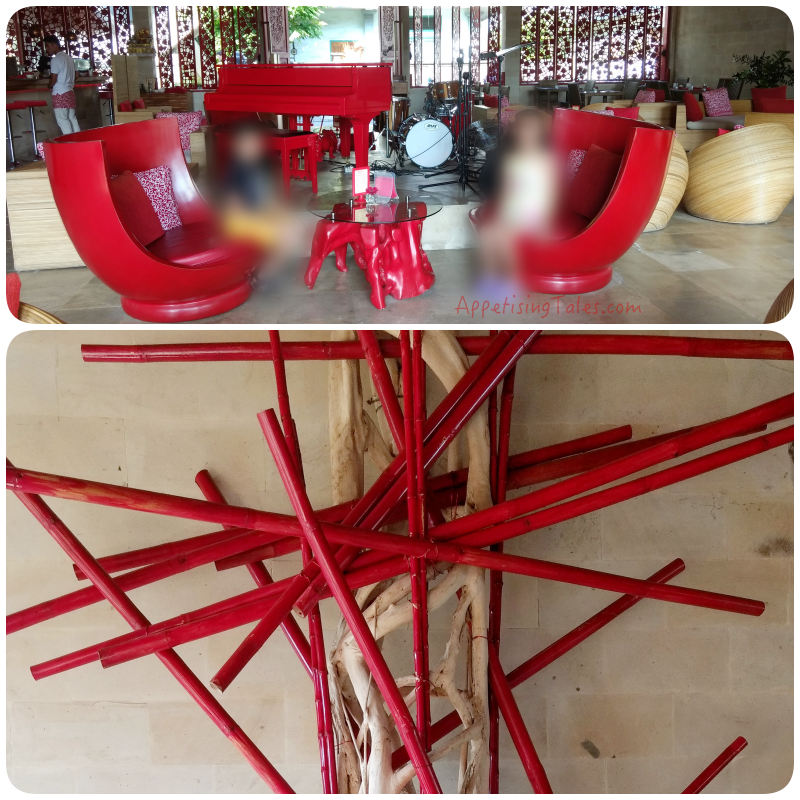 Ambience and Vibe: Rouge has a spacious interior done in art deco style. Piece de résistance is a red Grand Piano flanked by imposing chairs in the same colour. The huge walls are ideal for the many art exhibitions that are hosted here. The restaurant offers lovely al fresco seating as well. A platter for four people. Expect to Eat: Sushi, of course! You can order individual rolls, maki, nigiri, sashimi, et al but what we order is this sushi platter that is enough for 4 people we are told. 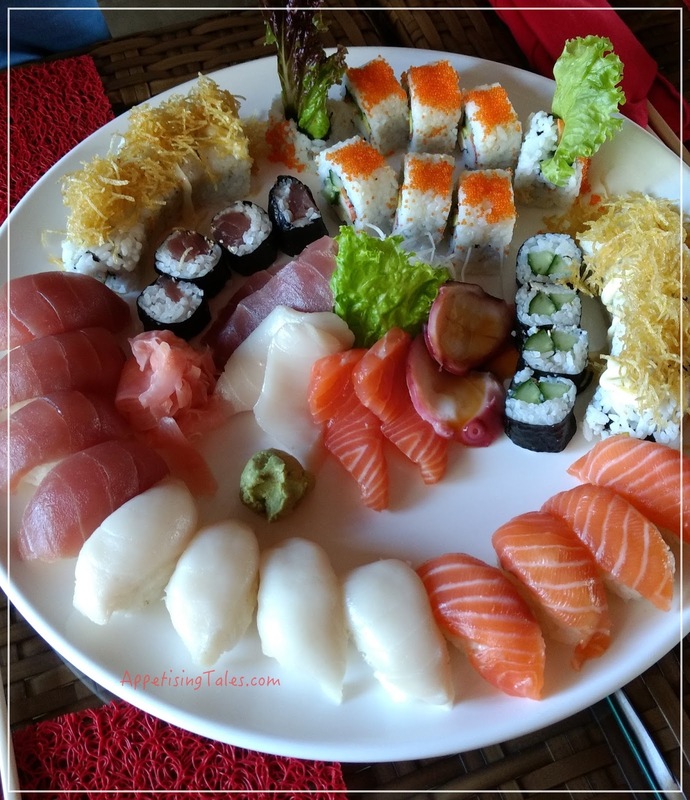 But if you want to make a meal of sushi, then this platter is more than adequate for 2 people; you will not need to order anything else. You can trust the recommendation of the waitstaff. All the suggestions we got - ranging from the number of dishes to dishes popular with the kids - were bang on! If you want something other than Japanese while you are here, the crispy chicken wings are very good. Insider Tip: Jazz lovers should head here at 7.30pm when daily live music starts at the Lounge and Sushi bar. Address: Jl. Bisma, Ubud, Bali 80571, Indonesia.